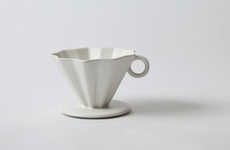 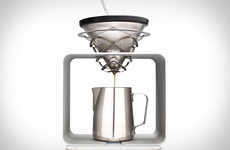 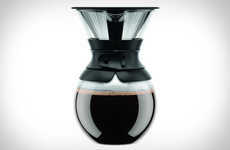 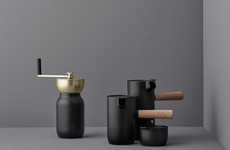 The 'Professor' pour over coffee stand is a Victorian-style coffee maker that makes single cups of coffee. 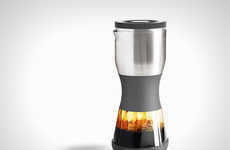 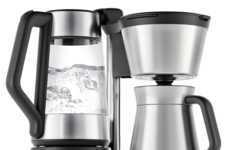 The coffee stand features a cone-shaped glass in which the user is meant to put their coffee filters in to create the perfectly brewed cup. 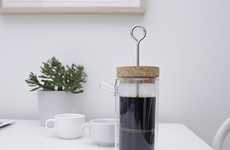 The stand features an adjustable brass ring and handle that can be used to customize the coffee flavors and temperature at the person's will. 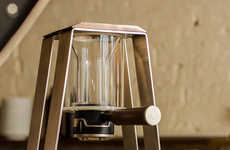 With its walnut base, brass structure and glass cone, this pour-over coffee stand is as delicate as it is functional. 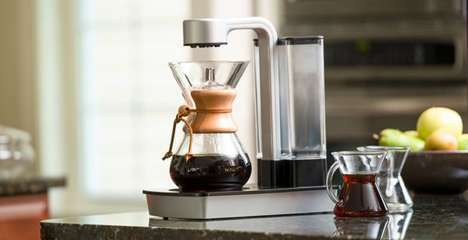 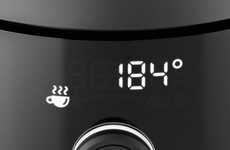 The art of brewing the perfect cup of coffee has increased in popularity in recent years as people learn the value of different coffees, techniques and brewing methods. 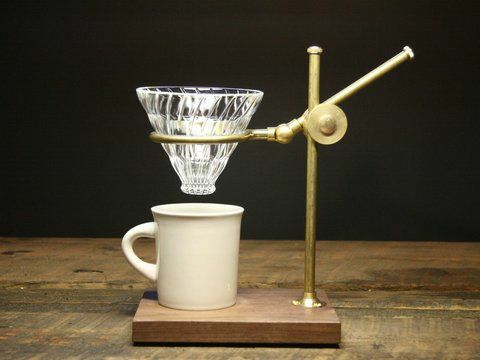 This beautiful pour-over coffee stand would be perfect for the experimental coffee lover.